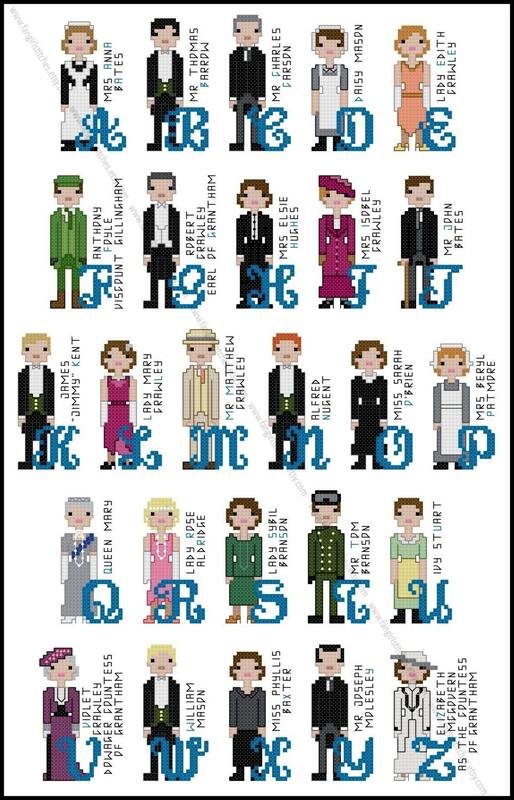 Lose yourself in the classic, stylish world of Downton Abbey with this alphabet cross stitch pattern featuring 26 individual characters. 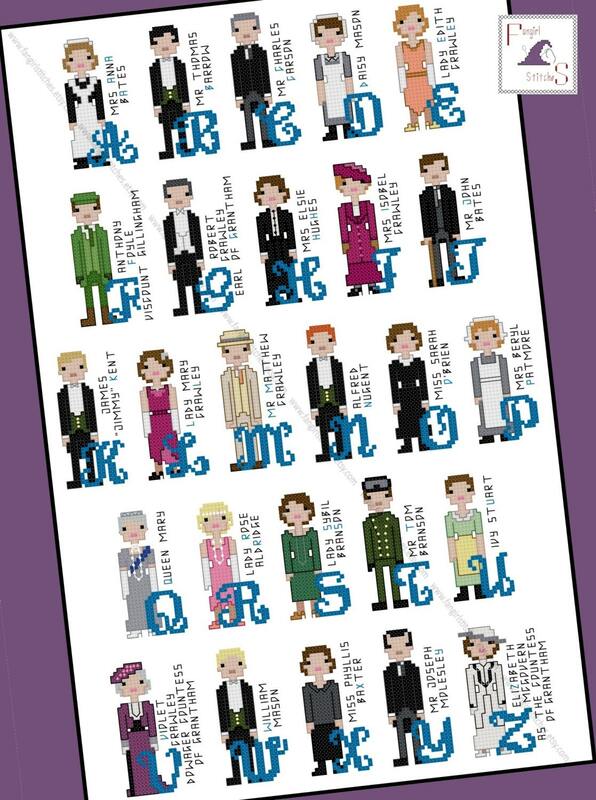 Stitch the complete piece, or use the individual letters to make bookmarks, hanging decorations or nameplates. I am truly enjoying stitching this! It's an easy to read pattern and is working up beautifully. Of course I work on it while watching Downton on repeat! Shop owner provides excellent customer service as well. I contacted her with a question and she responded very quickly. Will definitely purchase from Fangirl Stitches again!